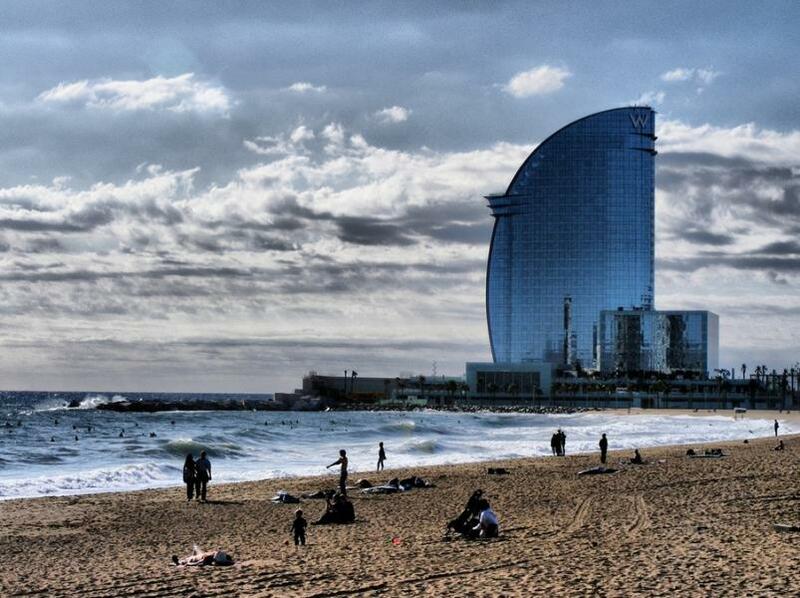 What is that big euro-sign shaped monolith at the tip of Barceloneta? Why, it's super hotel! Designed by Barcelona's own Ricardo Bofill, W Barcelona is Starwood's answer to the city's other plush waterfront digs. Sitting on its own white sandy beach, it offers loads of features–an infinity pool and wet bar where you can lounge about like Cleopatra, plus a high tech business centre and a glamorous top floor cocktail bar, with fab views of the big city twinkling below.